Our team brings terrific expertise and passion to their work. The associates listed here have been certified to conduct Seeking Safety training by Lisa Najavits. They conduct her training (same slides, videos, content, format), and she supervises their work ongoing and provides their training materials. All have used Seeking Safety for years with clients and have conducted national Seeking Safety trainings. Please note that sometimes non-certified people conduct training on Seeking Safety, but neither their content nor quality has been verified by us. We offer many options for training, including onsite training, DVD training, online learning, theme-based consultation phone calls, and training facilitation guides that you can use within your agency. Note: If you are organizing a training, you can copy the brief bio and photo of your trainer. (For the photo, right-click it and select "copy image" or "save image as"). Martha Schmitz, Ph.D.is a senior trainer and consultant with Treatment Innovations. For over a decade, she has offered continuing education workshops and supervision in the treatment of PTSD and substance abuse to clinicians throughout the United States and abroad. She began working with Lisa Najavits in 2000 in a postdoctoral fellowship on Seeking Safety research at McLean Hospital. Dr. Schmitz is currently a staff psychologist at San Francisco VA Medical Center and an Assistant Clinical Professor at the University of California at San Francisco School of Medicine. She received her doctorate in counseling psychology from the University of Missouri at Columbia after earning her master’s and bachelor’s degrees from the University of California at Davis. She has collaborated on several research projects in both the United States and France. Her clinical and research interests include posttraumatic stress disorder, substance abuse, and resiliency in survivors of trauma. She is based in San Francisco, CA. For details, see her complete resume. Kevin Reeder, PhD has worked with Treatment Innovations since 2008 as a trainer and consultant. He currently serves as the PTSD-SUD specialist at the Central Arkansas Veterans Healthcare System. In 2008 the Arkansas Psychological Association named him Medical Center Psychologist of the Year. He is involved in the planning and provision of treatment for veterans in the residential program where he provides individual and group therapy. He specializes in the provision of treatment services for veterans dually diagnosed with PTSD and substance use disorders. He has used Seeking Safety wiith veteran populations in both outpatient and residential treatment settings for the past seven years. A veteran of the United States Marine Corps, he completed his pre- doctoral internship at the VA Tennessee Valley Veterans Healthcare System in Nashville, Tennessee. He completed his postdoctoral residency at the Veterans Affairs Medical Center in Kansas City, Missouri. His clinical interests include PTSD, substance abuse, and readjustment issues of returning veterans. He is based in Little Rock, AR. For details, see his complete resume. Gabriella Grant, MA, trains professionals in the social services on an array of topics, including trauma, substance abuse, PTSD, eating disorders, problem gambling, domestic violence, sexual assault and child abuse. She has provided training and consultation for Treatment Innovations since 2009, and conducts Seeking Safety in a community setting. Her connection to Seeking Safety began in 2006, when she oversaw a statewide project in California to increase access to domestic violence shelters by women with mental health and/or substance abuse issues. ; as part of that project, she coordinated the training on Seeking Safety and helped guide and evaluate its implementation within domestic violence shelters. She has worked with criminal justice agencies, the courts, social service agencies and public health departments. As a trained policy analyst, Ms. Grant looks at how understanding the neurobiological effects of trauma, safety and coping can be adapted for effective programming, staff training and policies and procedures to create a therapeutically beneficial milieu for a variety of treatment modalities and outcomes. Her background includes heading the nation's first community corrections-based victim advocacy program for the Maryland Division of Parole and Probation, [1996-1999] and running a three-year project funded by the California Department of Public Health to increase access to domestic violence shelters by women with mental health and/or substance abuse issues [2006-2009]. She has a bachelors' degree from Amherst College, a Latin teaching certificate from the Pontifical Gregorian University in Rome, Italy, and a master's degree in public policy from the Johns Hopkins University. She has taught at the primary, secondary and university levels and has trained professionals, advocates and consumers in a wide variety of settings. Ms. Grant is the director of the California Center of Excellence for Trauma Informed Care, located in Santa Cruz, California, overseeing the Center’s research, program and professional development as well as policy analysis activities. For details, see her complete resume. Brenda L. Underhill, MS has worked in the substance abuse field for over 35 years as a clinician, administrator, trainer, teacher, and policy advisor for the state of California and for the federal government. She is a Senior Associate for Treatment Innovations (Seeking Safety). She has an extensive background as an organizational consultant in management, planning, training, supervision and program design for trauma-­informed and trauma specific substance abuse treatment services. She has conducted and supervised Seeking Safety for the past eight years. Ms. Underhill provides training and supervision nationally to clinical staff and supervisors implementing Seeking Safety, a model for trauma and/or addiction by Lisa M. Najavitis, Ph.D. Ms. Underhill previously directed a contract for the Center for Substance Abuse Treatment (CSAT) evaluating over 70 federally funded comprehensive treatment programs for women and children. From 1998 – 2000 she was the addiction recovery consultant for the Substance Abuse and Mental Health Services Administration’s (SAMHSA) initiative, Women with Alcohol, Drug Abuse and Mental Health Disorders who have Histories of Violence Study (WCDVS) . She continues to serve as a consultant, evaluator and grant reviewer for the Substance Abuse and Mental Health Services Administration (SAMHSA). In addition, she was a consensus panel member and work group leader for Treatment Improvement Protocol (TIP) Series 51, Substance abuse treatment: Addressing the specific needs of women. She is the recipient of the national Association of State Alcohol and Drug Abuse Directors Career Achievement Award and has authored and edited numerous publications on substance abuse treatment for women including, Chemical dependency: Women at risk. She is based in San Rafael, CA. For details, see her complete resume. Joni Utley, PsyD has provided Seeking Safety training and consultation with Treatment Innovations throughout the U.S. since 2012. She has presented in diverse settings, including community mental health centers, addiction programs, jail-diversion program, medical hospitals, and academic settings. She is a clinical psychologist at the Tampa VA Medical Center She completed a 2-year postdoctoral fellowship at VA Boston Healthcare System from 2011-2013 under Lisa Najavits’ supervision, where she specialized in treating PTSD/SUD and held an academic appointment at Boston University School of Medicine. Prior to that, she completed her psychology internship at the University of Massachusetts Medical School / Worcester State Hospital with a focus on trauma, addictions, and co-occurring disorders. Dr. Utley earned her doctoral degree in Clinical Psychology from Regent University in Virginia Beach, VA. She has research experience in PTSD, SUD, posttraumatic growth, and cognitive behavioral couples’ therapy. She is also a military veteran; with five years active duty in the Coast Guard and currently a Lieutenant Commander (O-4) in the Coast Guard Reserve. See her complete resume. Summer Krause, LPC, CADCIII is a Licensed Professional Counselor and Certified Alcohol and Drug Counselor III, with a clinical practice in Washington state that includes adolescent and adult Seeking Safety, in both individual and group modality. She has worked with Treatment Innovations since 2011. She counsels children, adolescents and adults and has spent the majority of her career working with adolescents. Her specialties are grief, trauma and addiction. After volunteering in juvenile detention centers for many years, starting in 1996, Summer went to graduate school to help address some of the underlying issues that contribute to youth entering the juvenile justice system. She completed her master’s degree in counseling with a focus on children and adolescents and has specialized training in trauma-informed care. She has worked in nonprofit, group home, juvenile justice, residential and outpatient settings. After being trained by Lisa Najavits in Seeking Safety, Summer implemented Seeking Safety groups for adolescent boys and girls in a residential treatment program. See her complete resume. 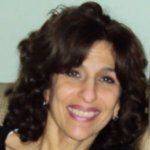 Liliane Drago is a senior trainer with Treatment Innovations and the Director of the Outreach Training Institute, the largest provider of CASAC training in the New York region. In that capacity, she oversees the program in its two locations and serves on the teaching faculty. She is a member of the Motivational Interviewing Network of Trainers (MINT), a certified trainer on Screening, Brief Intervention and Referral to Treatment (SBIRT), and the Addiction Severity Index (ASI). She was formerly Vice President and National Training Director for Phoenix House, where she was responsible for training and staff development, and the adoption of evidence-based practices into treatment programs. Previously, she directed the Riverside Center at Phoenix House, a treatment program for employed adults with substance use disorders and their families, the Director of Ambulatory Programs, where she provided oversight of adolescent outpatient services, and was Adjunct Instructor in Behavioral Science at Mercy College. Ms. Drago regularly facilitates professional development trainings for Outreach’s own clinical staff, as well as clinicians throughout the wider substance abuse and behavioral health field, and conducts workshops at professional conferences. For details, see her complete resume. ​Marisa Morrill, MA, MSMHC, LSW is a behavioral health specialist at Commonwealth Care alliance providing both in-home therapy and telephonic behavioral health support to support a panel of 127 clients. She is also a trainer for Treatment Innovations and has served as a research coordinator on a randomized controlled trial on Seeking Safety for PTSD and gambling disorder. She is bilingual (English and Spanish). Formerly she was a case manager with Catholic Charities for families involved with the Department of Children and Families to help place children in daycare so the parents could return to work and seek behavioral health supports to ensure a healthy home environment. She was a research associate on a Boston Medical Center study to evaluate whether problem solving education reduced maternal depression in mothers whose children were in Head Start. She also worked with children recently diagnosed with autism or attention deficit disorder and their families using the Triple P parenting model to encourage positive parenting techniques and reduce the likelihood of corporal punishment in the home. For details, see her complete resume. Jayne Gregg is a cognitive-behavioral psychotherapist, registered and accredited with the British Association of Behavioural and Cognitive Psychotherapists. Jayne completed an undergraduate degree in psychology at Queens University Belfast in 2010. Following graduation Jayne embarked on a career working with addiction and mental health. Jayne has worked in a variety of challenging settings including custodial environments and the homelessness sector. Jayne began training as a CBT therapist in 2013 while working as a trauma and addiction specialist, specifically working with trauma related to the Northern Ireland ‘troubles.’ Jayne has used Seeking Safety on an outpatient basis with individuals presenting with symptoms of PTSD and co-occurring substance use. Jayne has delivered Seeking Safety training within a variety of settings, under the supervision of Lisa Najavits. Jayne is currently employed as a psychological therapist in the Health and Social Care Trust, based in Northern Ireland. She also has a successful private practice. Jayne’s clinical interests include PTSD, obsessive-compulsive disorder, social anxiety and panic disorder. For more details, please see her complete resume. ​Shanta Kanukollu, PhD was first introduced to Seeking Safety during her undergraduate years while working for Dr. Lisa Najavits as a research assistant at McLean Hospital in Massachusetts. Since then, she has used Seeking Safety in a variety of settings including the Cook County Department of Corrections where she worked with incarcerated women, the 19th Judicial Circuit of Lake County where she worked with men and women in a treatment-based court program. Dr. Kanukollu has also worked with veterans seeking treatment at the Edward J Hines Jr. VA Medical Center, providing individual and couples therapy for veterans with varying presenting concerns. Dr. Kanukollu is a clinical psychologist in private practice currently and enjoys working with adults of diverse backgrounds struggling with issues related trauma, intergenerational trauma, immigration-related stressors and cross-cultural family dynamics. Prior to working in these settings, Dr. Kanukollu completed her predoctoral psychology internship at Advocate Illinois Masonic Medical center, where she provided individual, couples, family and group therapy in a hospital setting along with crisis interventions in the emergency room. Dr. Kanukollu earned her doctoral degree in the joint Clinical Psychology and Women’s Studies program at the University of Michigan and obtained her bachelors in Psychology and Public Health from Rutgers University. She currently resides in Chicago. For more details, please see her complete resume. Tiffany Parkhouse, MA is a Quality Assurance (QA) Manager with the Training and Resource Center at Community Solutions, Inc. in Connecticut. She has a masters degree in professional counseling and has worked directly with adult and juvenile clients with various issues, including substance abuse and trauma, for over 15 years. Tiffany has run Seeking Safety with both men and women, including within the criminal justice population in Connecticut. Her work as a QA manager involves supporting staff through ongoing supervision and training, and she works closely with the State of Connecticut in their implementation of evidence based practices for female offenders. She also provides training and quality assurance to state and federal agencies throughout the country on a variety of evidence based practices, including trauma informed practices, vicarious trauma, Motivational Interviewing, and the Women’s Risk Needs Assessment. For more details, please see her complete resume.